THE Boyne Tannum Vet Surgery is warning pet owners of an increasing number of parvo virus cases across the Gladstone region. The virus is highly contagious and can be deadly. Symptoms include bloody diarrhea (often severe), fever, lethargy, loss of appetite, malaise, rapid weight loss and vomiting. 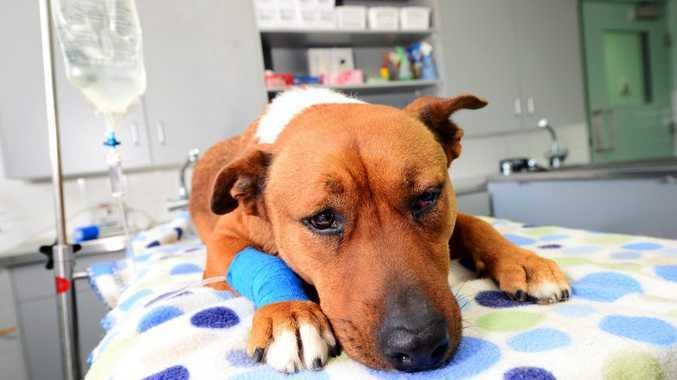 The surgery is urging pet owners to have their animals vaccinated against the disease. The Gladstone Regional Council has also warned residents on its Facebook page, stating the recent rain is behind the increased risk. "This disease is most dangerous for puppies but can affect dogs of any age," the council spokesperson said. "For the health and safety of your pet and others it is important to ensure your dog's vaccinations are up-to-date. "It is also important that the areas where your pets live are kept clean and dry as diseases spread in moist and muddy conditions".